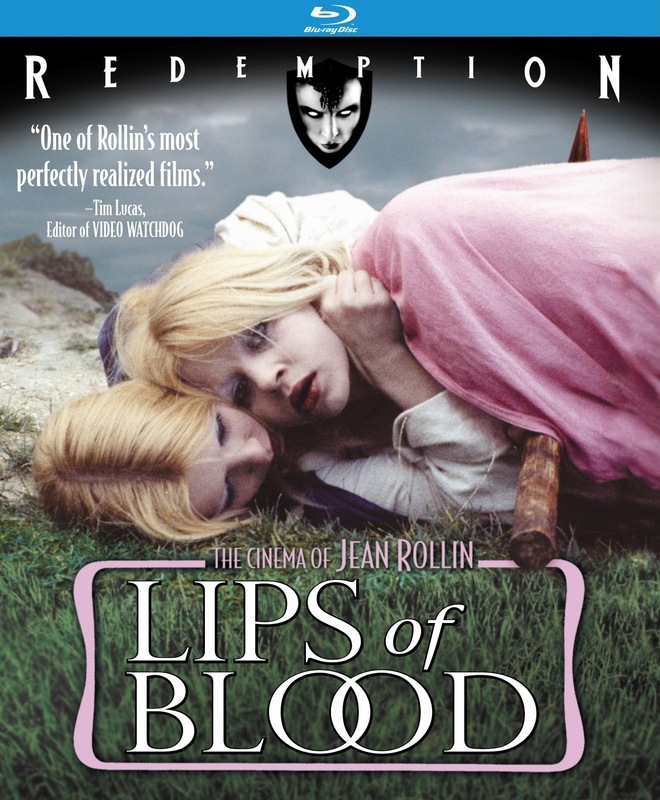 Releases in 1975 Lips of Blood is another film by Jean Rollin that’s bound to split those who view it. 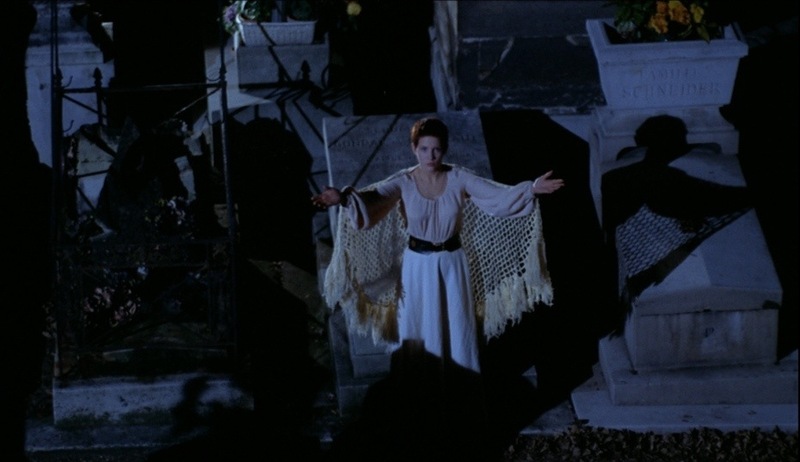 In most reviews I’ve written on the films of Jean Rollin I often mention how its difficult for me to write them and Lips of Blood isn’t an exception. Like a good portion of Rollin’s work they’re often put in with the horror genre, but Lips of Blood like many of these films really aren’t horror so if you go into Lips of Blood expecting a horror film you might be letdown and be better off going with Grapes of Death (my favorite Rollin film) or you can go with Living Dead Girl and those two films unlike this have more mass appeal. Lips of Blood is a solid effort and the film is just kind of interesting with a great visual look. Lips of Blood is also a little more story driven perhaps than a lot of Rollin’s work. If you’re a fan of Jean Rollin I see no reason why you won’t enjoy this film, but while this has more mass appeal than say Iron Rose I can see this being hit or miss. 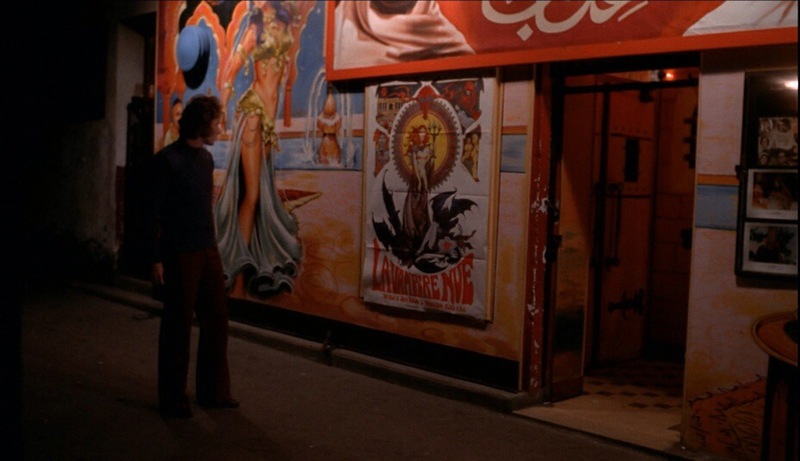 While at a party Frederic (Loup Philippe) sees a photo of a chateau, which triggers a childhood memory of a woman he met. He tries to find the chateau, but somebody doesn’t want him to and people are paid off to keep quite and even killed. However Frederic continues his search and soon learns of secrets from his families past. The screenplay was written by Jean Rollin & star of the film Jean-Loup Philippe. The kind of film Lips of Blood is isn’t a make it or break it film based on the writing as this is very much driven by the direction. There are stretches with little to no dialogue. The plot is quite simple and while characters aren’t really developed the plot is interesting and mysterious enough to keep it interesting. As director Jean Rollin crafts a film that is quite stunning to look at and whoever scouted the location for the castle deserves an award. Rollin makes great use of his locations and in many ways they become a character in the story. As I stated if you’re looking for a horror film look elsewhere. If you’re looking for a fast paced film, Lips of Blood isn’t for you either as this isn’t an exciting film to watch in regards to action. However besides the great visual look, Lips of Blood also has a great mysterious atmosphere and while the film isn’t scary nor is it meant to be, but its also in someways a little eerie. I actually would have liked if Rollin played up to the horror aspects since this film like Iron Rose and a few others does have an eerie feel and have more atmosphere than most straight up horror films. The pace moves at a slow, but steady pace and while there isn’t a lot of vampire action everything is quite surreal and the mysterious tone helps keep the film move along strong and keep it interesting. The shots of the vampires roaming around can be a little eerie though not scary and their first victim is actually Jean Rollin in a cameo. Perhaps its just me, but Lips of Blood also has this dark fairy tale vibe going for it. I would consider myself a fan of Jean Rollin, but he wouldn’t make my top 10 filmmakers or anything, but he had a style all of his own and while that style may not suit everybody I enjoy his work for the most part. His unique vision can be hit or miss, but if you can connect with it you’re in for a treat with Lips of Blood. Overall Lips of Blood is quite an interesting film and fans of Rollin should enjoy this one. Like I said if you go in expecting a horror film you’ll be disappointed. 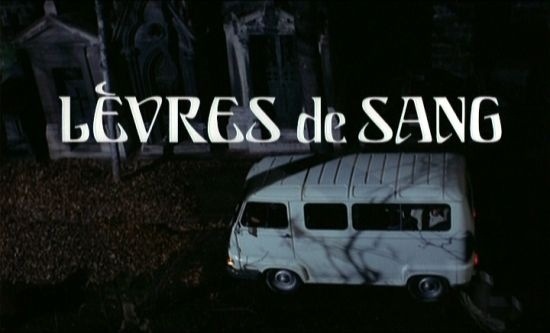 Its eerie and mysterious and another fine film by Jean Rollin. Annie Belle under the name Annie Briand should be no stranger to fans of cult cinema appearing in such films as Ruggero Deodato’s House By the Edge of the Park and the Joe D’Amato 1981 slasher film Absurd.